The Mega Mall is destined to become the pre-eminent shopping experience in Pakistan. It has been designed to provide an upscale international destination that will exceed all the local alternatives and rival the best that Dubai has to offer. Based on an in-depth analysis of successful malls around the world it was decided that a six floor configuration would maximise the retail potential on the site. 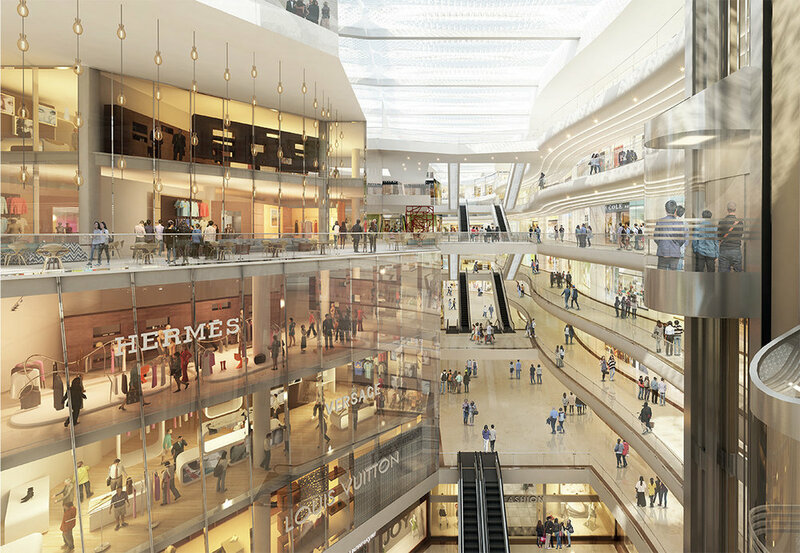 Over 850,000 m² of prime retail is provided above ground with 3,200 car parking spaces in the basement. 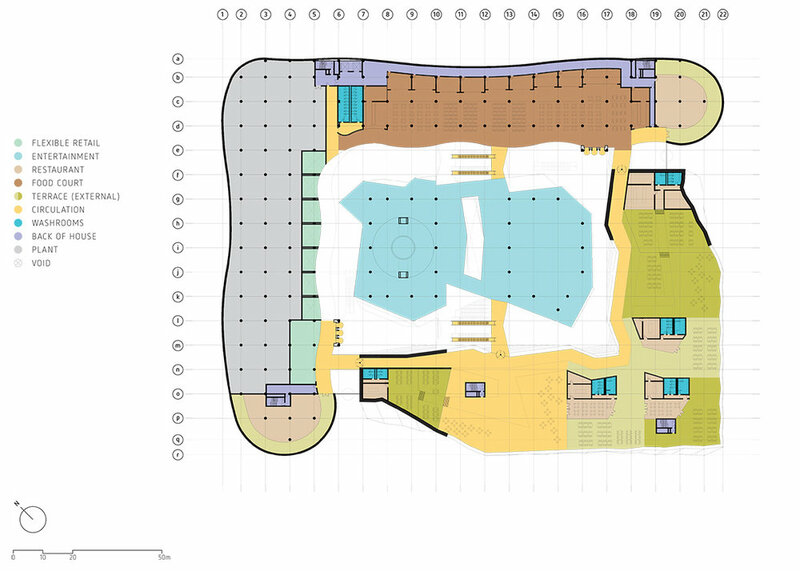 The retail floor layout is based on the simple line-of-site to point-of-interest rule, ensuring that all shops can be seen from a major atrium or circulation space ensuring that retail value is maintained for all outlets.